This sword is a beast!!! I would recommand buying for all LO .. I was very surprised when i got this sword. 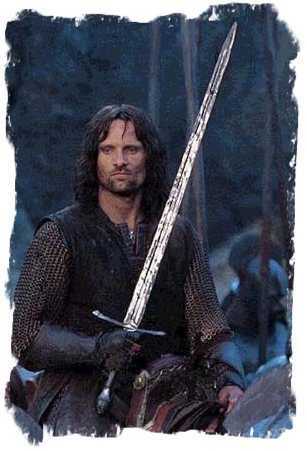 i already had Anduril, Herugrim, sting, Hedafang and Gim..
beautiful sword especially when you have the scabbard! I cant believe how well done the scabbard wa..
A nice longsword! I don't have it but my friend Jimmy does. It's so great.... Love It! 5 of..
striders sword is so COOL! It is so heavy! i'm going to get the scabard too. every lord of the r.. This sword is a beast!!! I would recommand buying for all LOTR fans!! I got my in TWO days! CB Sword.. This is a beautiful sword!! I bought this piece as the very first sword in my collection and it is ..